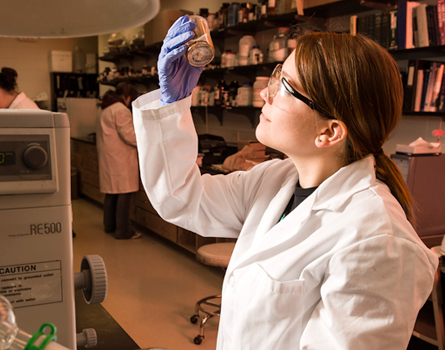 A Carnegie-classified research university, Wright State offers countless opportunities for research at all levels, from undergraduate through post-doctoral. 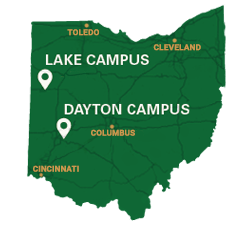 The wide spectrum of research activity at Wright State ranges from fundamental investigations to applied research and development, benefiting the Dayton region and the world. Showing the university's dedication to research, one of the premier annual campus events is the Celebration of Research, where more than 150 students present their work on topics from a biomedical engineering student's Volumetric MR Analysis of Pediatric Patients with Hydrocephalus to a history major's Espionage in America. What are your interests? Did you know that students at Wright State have the ability to conduct unique research projects—regardless of major or year in school. From undergraduates to graduates, and from literature to biochemistry, there are amazing faculty and mentors who can help show you the way to a successful research project. Work on a team or independently, one term or multiple years, hands-on or theoretical; you have it within you to make your mark on the world. Similar to undergraduate students, graduate students can work with faculty experts, fellow graduate students, and possibly undergraduate students on the faculty member's research. You can also discuss your ideas for independent research.